At Polished, we love connecting with our community by helping other local non-profit organizations and creating a place where women can be successful all while helping others feel beautiful. 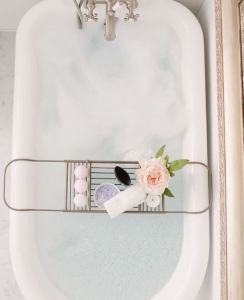 When we came across Musee Bath company, we immediately felt connected to their mission and we were so excited to bring them in! Musee Bath is a sweet cottage business created in the southern Madison County, Mississippi. Their goal is to care for the community by creating jobs through the development of quality handmade products. They call them “balms” instead of “bombs” because where as a bomb is destructive a balm is healing and nurturing. Each balm is named after a fun song and has its own recipe, some including small treasures. 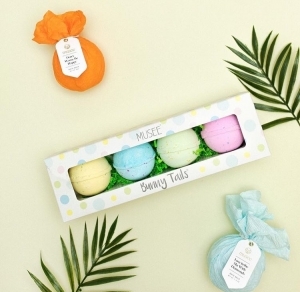 For example, “Don’t Worry Be Happy” is a bright yellow and orange balm with citrus scent and has a small bouncy ball inside; another is “Man of Constant Sorrow”, which contains spearmint and eucalyptus oils and Epson salt so it is great for achy joints and sore muscles. Their motto is Soak in Life! They want everyone to take the time to relax and enjoy a hot bath and in doing so support them in their quest to provide jobs to their local community. Each balm is hand-made with natural ingredients, such as organic sugars, salts, herbs and essential oils, delightfully packaged and most with a small gift inside. So unique and sweet! 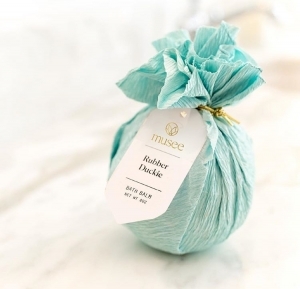 Musee balms make a perfect baby shower present for a new mom, welcoming a new neighbor to the street, a hostess gift or for that day where YOU just want to relax in the bath while reading a good book! The Muse Balms therapy and relaxation line is designed with the best essential oil blends like lavender, eucalyptus and honey for those days when loved ones aren’t feeling well or might be a little restless. The Musee Balms are even safe for the kiddos! They love the anticipation of finding the treasure inside and parents will love when they come out of the tub with moisturized, soft skin. 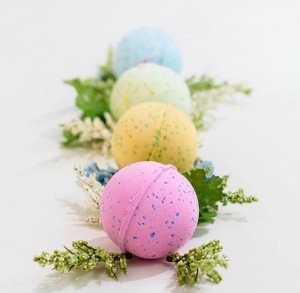 Musee Bath products bring beauty, joy and jobs that bring dignity. Bathing the world in love one bath at a time! During your next visit to Polished, we invite you to check out this new collection! Now available at both Polished locations.